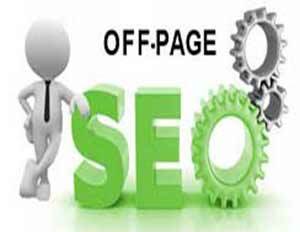 Off page SEO is the process which improves your website's position in search engine results. External authoritative relevant link building would be the primary factor of this process. A natural link profile for a new website should consist of a combination of dofollow and nofollow backlinks. You should also implement backlink diversity which means all your backlinks should come from a variety of different authoritative root domains. I recommend most of your backlinks be pointing to relevant different pages on your website to improve page authority and overall domain authority. There are various software programs and places on the internet which allow you to submit your website to thousands of places in a couple of hours, however, too many backlinks in a short period of time for a new domain might indicate to Google you are trying to game the system. Manually building high quality backlinks from Domain authority sites will ensure you don’t get submitted to penalized or low quality sites. You can do it the easy and risky way or do the hard work and achieve excellent guaranteed results. By now you’re probably wondering what is the difference between Google PR and Moz’s Doman Authority. DA is similar to PR but gives a more detailed indication of the site’s value and issues a score of 0 to 100. Posting good quality blog articles on places like Google+, Pinterest, Blogspot, Linkedin, Wordpress and Tumblr can help drive traffic to your site. Your blog articles should contain around 1,000 words of content or more, image with alt tag and 1 embedded video (optional). In each article you should use anchor text links pointing to relevant pages on your website. Make sure your Blog url contains your targeted keywords. As you write your article content don’t use the same long tail words repeatedly for your anchor text as this can be considered spammy. The same on page SEO techniques for your website can be applied for your blog. Remember, success means quality content, authoritative backlinks, sharing and hard work. The authority of a social account doesn’t influence SERP but anchor text links on social media blogs articles could be counted as credible backlinks and influence a page’s rank. Even though social shares may or may not affect your webpage’s SERP, your social profiles definitely influence the content of your search results. Social media profiles are frequently included in the top results in search engine listings for brand names. People not only go to Google to search for stuff but also use social search engines as well. Youtube – second largest search engine with over 3 billion searches per month. Facebook – over 1 billion searches per day. Twitter – over 19 billion searches per month which is more than 5 times the searches handled by Bing. Guest blogging is still used for traffic although it’s important to use nofollow links or links to your Google+ page, Twitter account or Facebook page. Google is targeting many low quality sites who are using guest blogging as their primary link building. Post on relevant blogs that are larger and have more authority than your website. Do not use rich anchor text which will probably result in your website getting penalized eventually. Co-citations are important because even if you don’t get a link from a guest post, having your site mentioned can help with rankings. I recommend for a website owner using many authors to regularly perform quality audits to ensure good quality content and quality of outgoing links. PBNs which are private blog networks is a backlink building method that some grey hat SEO people use. PBNs can be complex to setup for a novice or even experienced people. They do work good but you have to build it right or you’re going to get penalized by Google. 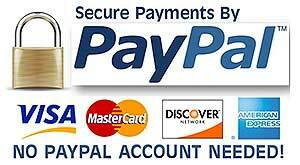 Basically a PBN are multiple domains that you own. Usually a PBN consist of expired domains that were previously owned and probably had other websites link to it but for some reason the owners let these domains expire. A PBN is great because you control the content and the links within the domains. You can create the content so it’s revelant to your nice and also create the revelant anchor text which links to your website. An expired domain has more authority than a new domain because of domain age and more importantly has more link juice due to it’s backlink profile. You want to choose expired domains with a lot of relevant quality backlinks from authoritative root domains. The domains in your PBN should have different IP addresses because if all the domains are on the same IP address, Google knows the same person probably owns all of them and you are screwed and tattooed. Each domain should be on a different subnet which means from left to right the third octet of the ip address should be different. It’s best to use different providers for your network. Most importantly don’t buy an expired domain that had a bunch of spammy backlinks pointing to it. Google Maps, formerly known as Google Places, is part of the Google My Business dashboard for tracking and managing analytics, Adwords and Google Maps. Register your business at https://www.google.com/business/ in the city which you have a physical address. Using Google Analytics you can review online campaigns by tracking landing page conversions and quality by putting the tracking html code in the head section of every webpage. Also in Google Search Console you can view website crawl errors, submit sitemap and perform a fetch and render on your entire website which essentially does a Google index on your site.